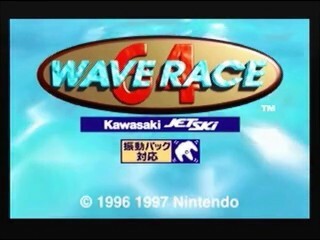 Wave Race 64 is a jet-ski racing game released in November 1996, shortly after the Nintendo 64 launch. The game features sophisticated wave physics, giving the game a surprisingly realistic feel. Notably, it also features a hidden dolphin vehical. Best time: Single-segment 0:53:17 by 'FireHawkRise' on 2013-05-18.